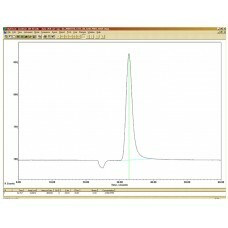 The Series 8900 Ethylene Oxide Analyzer combines the selectivity of gas chromatography with the sensitivity of a Photoionization Detector (PID) providing interference free response to Ethylene Oxide (EtO) at levels below 0.05 ppm. This analytical method is referenced in OSHA's "Occupational Exposure to Ethylene Oxide: Final Standard" 29 CFR Part 1910. The system documents exposure levels including: time-weighted averages (TWA), short-term exposure limits (STEL) and instantaneous alarms. Areas that are typically monitored include; EtO Sources - gas storage areas, sterilizer doors, aeration doors, and the General Work Area - decontamination, packaging and preparation and sterile product storage areas. The 8900 EtO Analyzer uses a dual column configuration with timed backflush to vent which is used to strip off moisture and heavier hydrocarbons. 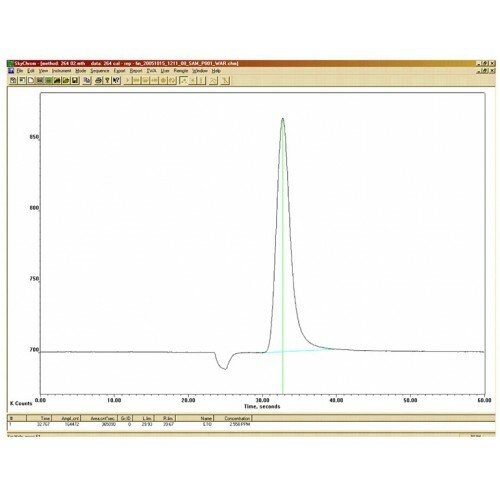 At sample injection a fixed sample volume is carried to the pre-cut column. Backflush of the pre-cut column is timed from sample injection so that only EtO and other similar components are eluted from the pre-cut column to the analytical column. Contaminates on the pre-cut column are then vented. EtO is separated from potentially interfering components on the analytical column and elutes to the photoionization detector (PID) and/or flame ionization detector (FID) for analysis. Monitoring workplace exposure limits in and around sterilization facilities.